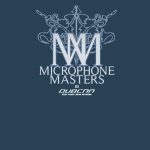 Episode 203 of Microphone Masters Radio Show has a unique twist – an interview and some fan-inspired content! Special Guest DJ Dister stops by to talk about his new project, Sunset & Formosa. The Los Angeles by way of Berlin producer has worked with some Undergound Hip Hop luminaries like Masta Ace and Krs-One to name a few. A couple of weeks ago Jordan Thornton, a loyal Microphone Masters Radio listener asked J and Saxx if they would talk about the significance of WC and the MAAD Circles debut “Ain’t A Damn Thang Changed.” His request was born from a tribute the fellas did after the passing of West Coast pioneer and MAAD Circle member, DJ Crazy Toones. Well, Jordan you asked and J-Luv and Starr Saxxxon aim to please. They give a unique review of the project and its significance in a rare time in West Coast Hip Hop releases. Also, check out songs from Mega Ran, Roqy Tyraid, Pennywise, MC Eiht, WC, E-40, Planet Asia, TreHype and more. WC & The MAAD Circle – West Up!